This weekend my family and I, along with one of my best friends, completed a Tough Mudder race in Kentucky. 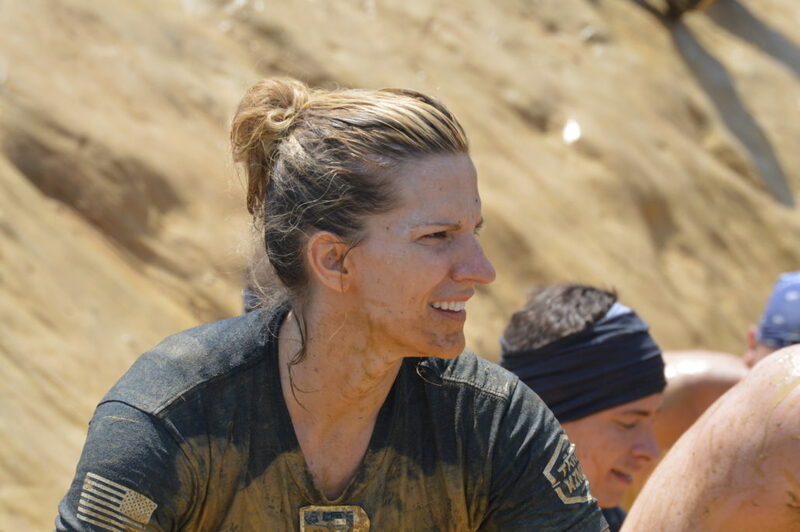 If you’re not familiar with Tough Mudders, you can read more about them here. We chose the full option, completing 10 miles and 20 obstacles over the course of several long, hot, muddy, expletive-filled hours. I’ve been lucky enough to participate in many races over the years, but I’ve never experienced something quite like this. I’m usually run my race, shout cheers for others along the way and occasionally stop to help a downed runner. This isn’t how you operate during a Mudder. You’ve got to help and be helped continuously along the way. Whether you’re getting a boost to launch yourself over a wall, a hand to grip as you shimmy up a mud hill, or a pep talk to dive through a field of electrically charged wires, you learn to make friends and ask for help. Your racemates are quick to lend a hand if they see you’re struggling. When it was over, I looked at the pictures my husband had taken, and it occurred to me how much time I spent looking back during the race. If there was someone who could help me. If there was someone I could help. As I flipped through the pictures, I found myself mentally looking back at how far I’d come in the past year in my personal life and business. Looking back at what I’ve accomplished, I realize that I don’t give myself enough credit for things I’ve done with and for others. While I understand that the “present moment” is all we have, I can’t help but wonder what we’re missing when we opt to focus only on what’s in front of us and not behind. Are we missing the opportunity to help or be helped by others if we don’t look back? How do we celebrate where we came from if we don’t look back? What incredible shared experiences are we missing by not looking back at ourselves and others? As you finish the Mudder and collect your celebratory headband and beer, your fellow racemates give you a pat on the back or a glance that says “We did this; can you believe it?”. Everyone gets cleaned up and heads home, sore, tired and feeling like a bada#$%^ for what they’ve accomplished on a sunny Saturday afternoon. 1.) People in your life who you can help or be helped by. 2.) Your accomplishments over the past week, month, year and pat yourself on the back. Progress, big or small, is always a good thing. Take a look back. You’ll be better for it. Eleven Rules for Confident Communication When Do I Share My Story?